2014 08 13 099 Ukraina - Yuriy Fedkovych Chernivtsi National University1 viewsCzerniowiecki Uniwersytet Narodowy im. Jurija Fedkowycza. 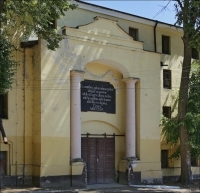 Yuriy Fedkovych Chernivtsi National University, Kotsjubynskyi Str. , Chernivtsi, Ukraine. There are 60 registered users. The newest registered user is Biała. In total there are 40 visitors online: 0 registered users and 40 guests. Most users ever online: 202 on 10/04/17 at 20:31. Registered users who have been online in the past 10 minutes: .